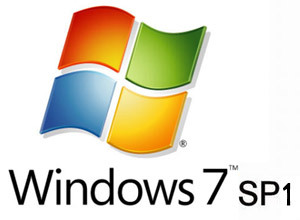 Microsoft has just released the SP1 of Windows 7 & Windows Server 2008 R2, so go and get it via Windows Update right now! Look after the break for notable changes. Additional support for communication with third-party federation services. Improved HDMI audio device performance. Corrected behavior when printing mixed-orientation XPS documents. Dynamic Memory – Dynamic Memory allows for memory on a host machine to be pooled and dynamically distributed to virtual machines as necessary. Memory is dynamically added or removed based on current workloads, and is done so without service interruption. • Enhancements to scalability and high availability when using DirectAccess – improvements have been made to enhance scalability and high availability when using DirectAccess, through the addition of support for 6to4 and ISATAP addresses when using DirectAccess in conjunction with Network Load Balancing (NLB). • Support for Managed Service Accounts (MSAs) in secure branch office scenarios – enhanced support for managed service accounts (MSAs) to be used on domain-member services located in perimeter networks (also known as DMZs or extranets). • Support for increased volume of authentication traffic on domain controllers connected to high-latency networks – more granular control of the maximum number of possible concurrent connections to a domain controller, enabling a greater degree of performance tuning for service providers. • Enhancements to Failover Clustering with Storage – SP1 enables enhanced support for how Failover Clustering works with storage that is not visible for all cluster nodes. In SP1, improvements have been made to the Cluster Validation and multiple Failover Cluster Manager wizards to allow workloads to use disks that are shared between a subset of cluster nodes.